It's only a week away - have you picked up a little something for Mother's Day yet? (or does Hubby need a good hint?). 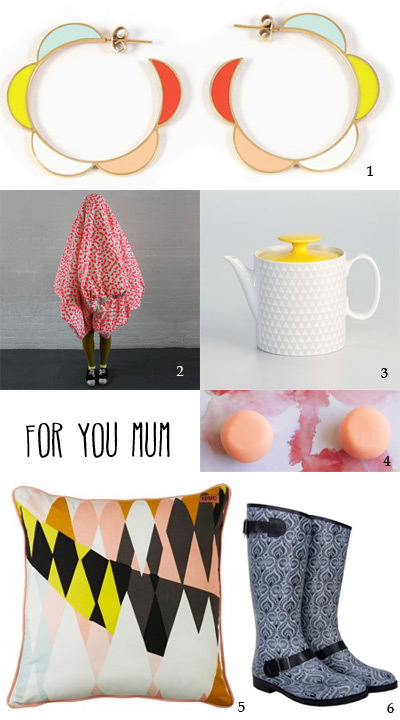 I've chosen six of my favourite current goodies from Australian designers for some last-minute inspiration. Support Australian design and get onto it quick! For more options, check out these other Mother's Day Gift ideas here on Bondville. Happy shopping!